Cape May Court House bed and breakfast travel guide for romantic, historic and adventure b&b's. 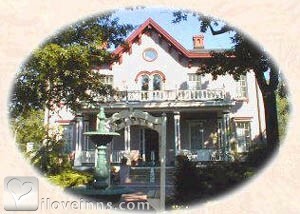 Browse through the iLoveInns.com database of Cape May Court House, New Jersey bed and breakfasts and country inns to find detailed listings that include room rates, special deals and area activities. You can click on the 'check rates and availability' button to contact the innkeeper. Cape May Court House is adjacent to the shore towns of Cape May, Stone Harbor, Avalon and The Wildwoods. Stay at The Doctor's Inn away from the crowds and the high prices but with in a 15 minute drive to all the beach towns. We offer free passes to Avalon and Stone Harbor beaches which are a short 10 minutes away. By Doctor's Inn. Cape May Court House may sound like it is just another civic building in a small town. Cape May Court House actually has more to show to visitors other than this building. The Cape May County Park and Zoo is one treat for visitors. What makes it even more attractive is that entrance is free and distance from the center of the town is only two miles. It is also quite near some Cape May Court House bed and breakfast inns. For visitors who wish to see animals in their natural habitats, Cape May National Wildlife Refuge is the better option. Covering 11,000 acres of land, this refuge is only three miles away from Cape May Court House. By Doctor's Inn.